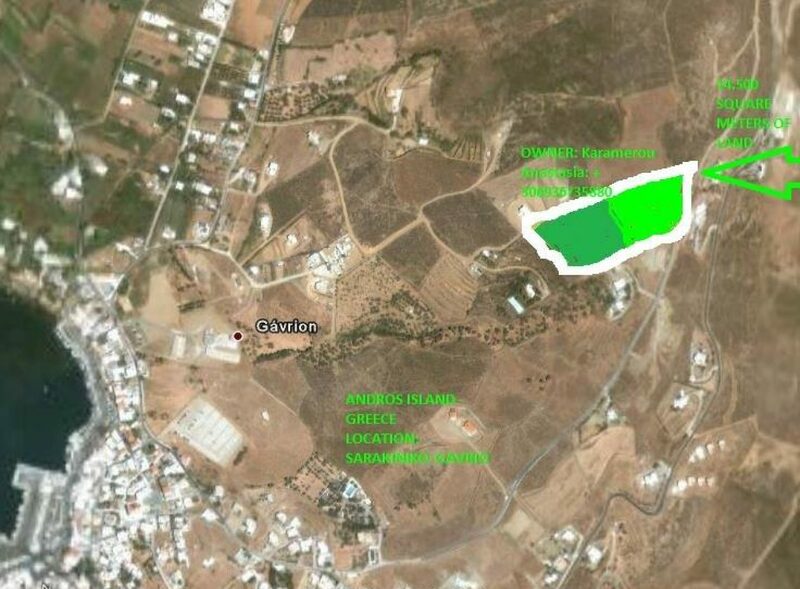 14,500 square metres of land are situated at the main Port of Andros Island * called GAVRIO * at Cyclades, GREECE. ALMOST 2 hours away from Athens by a conventional ship. The islands of TINOS,MYKONOS and the legendary DELOS can be easily reached due to the small distance. and why not a CLINIC /HOSPITAL that the area is missing!!! or to be let for a long term period.